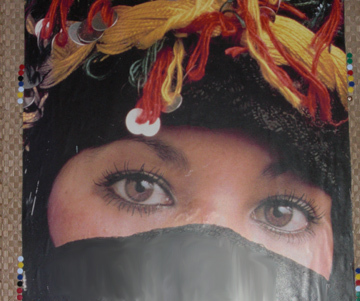 We saw this picture everywhere and I was enchanted by it. 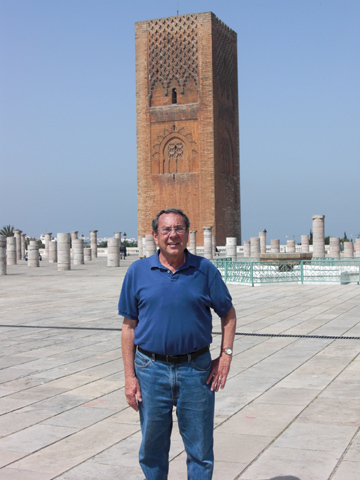 The Tower of Hasan in Rabat...one of the first places Jack took me to see in 1966.
; The Chellah...ancient Roman ruins in Rabat. 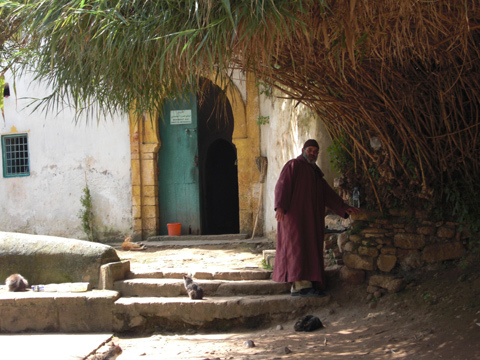 The caretaker's house located in the Chellah...notice all the cats! 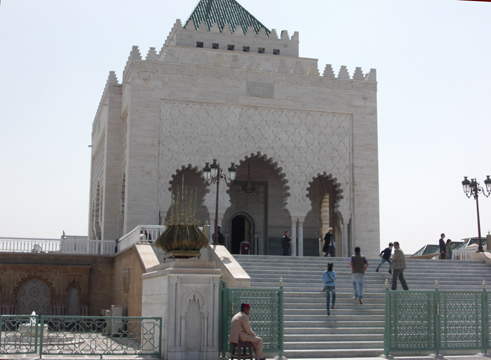 The beautiful Mohammed V Masoleum in Rabat. 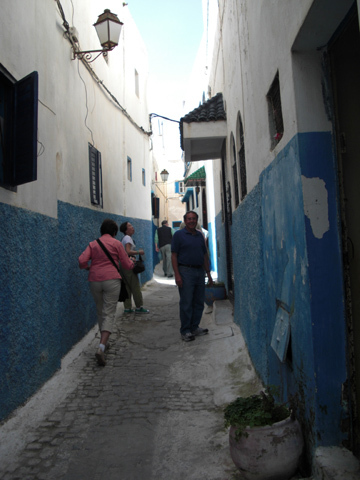 Jack in one of the alleys in the Medina in Rabat. 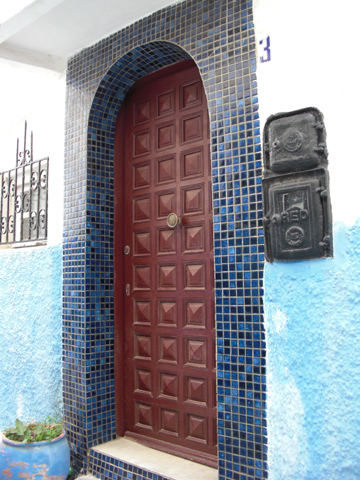 One of many facinating doors in the Medina. 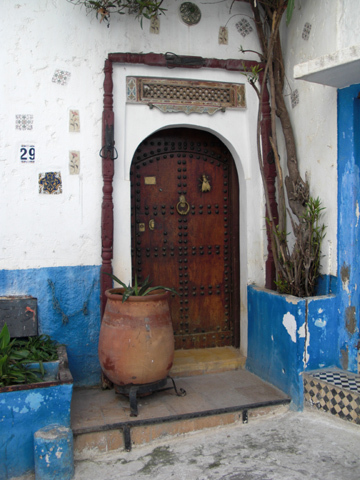 Notice the brass fly on this door. 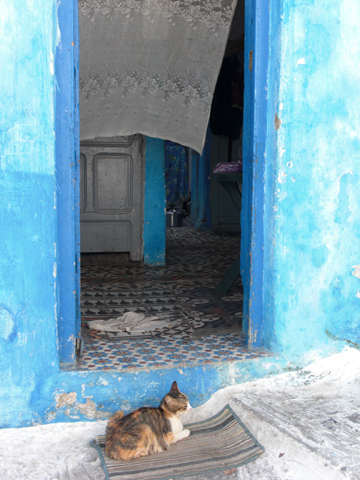 Looking into an open door in the Medina. 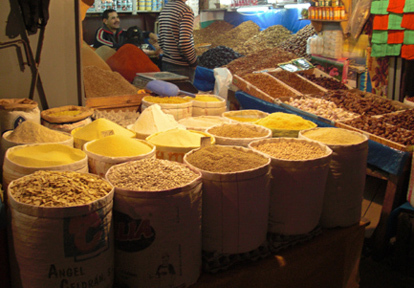 Spice stand, fish market and dried fruit stand in the Medina. 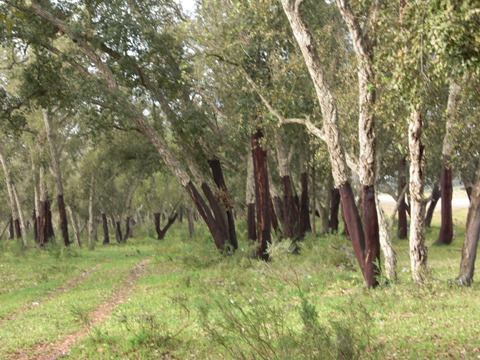 Just outside Rabat is an oak forest. 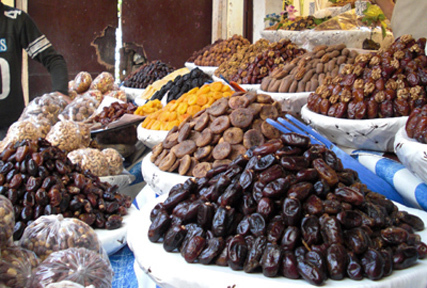 They use the bark to make cork for wine bottles.They also collect truffels there to sell. 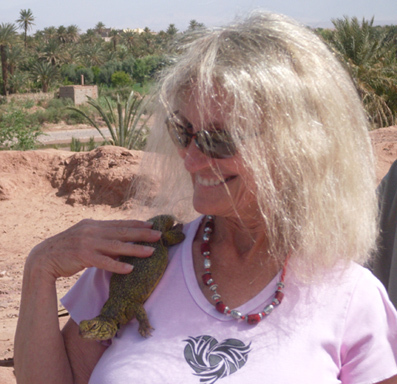 Helen befriending a lizard, and having a hands on experience with snakes. 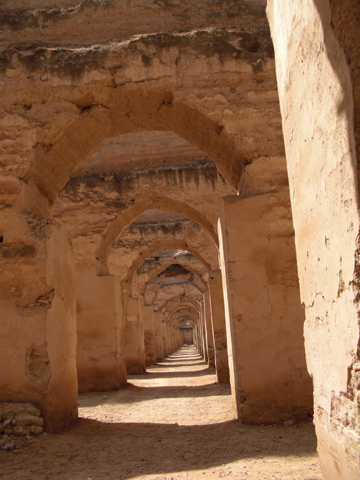 Old Roman stables in Meknes. 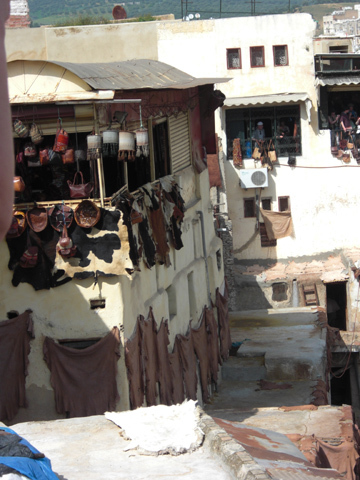 They used to house 12,000 horses. 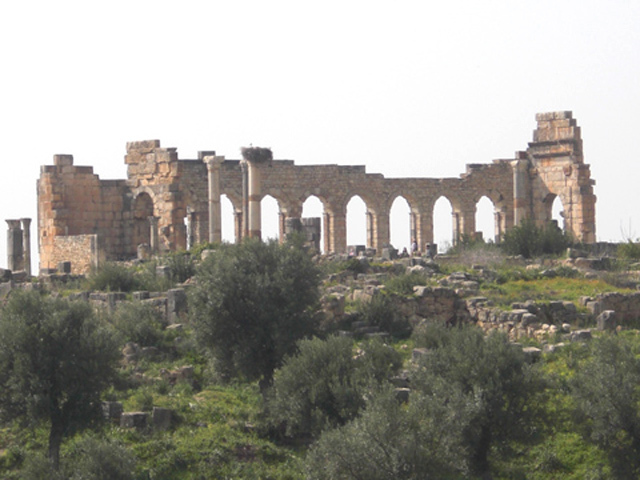 They were incredible, immense,indescribeable, in ruins. 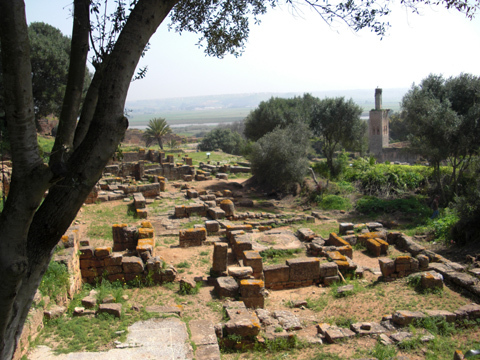 Ancient Roman ruins in Volubilis...amazing! 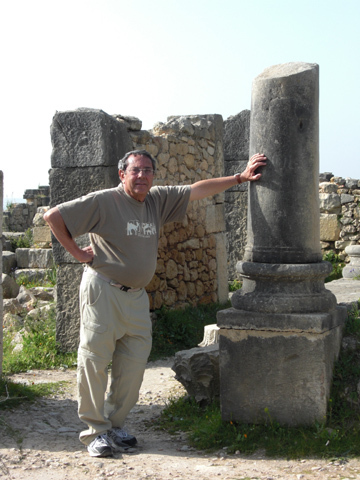 Jack holding up one of the columns. 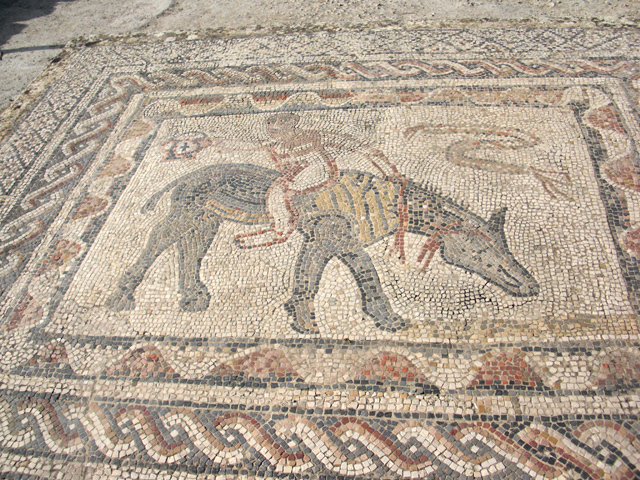 Many of the floor mosaics are still in amazing condition. 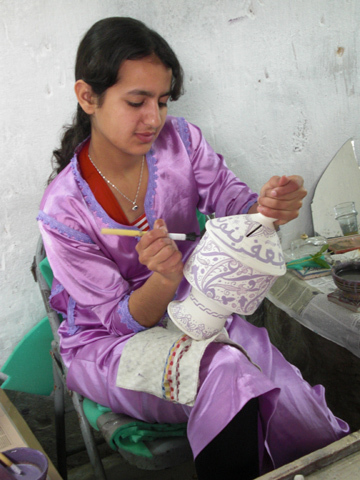 A girl painting pottery in the factory in Fez. 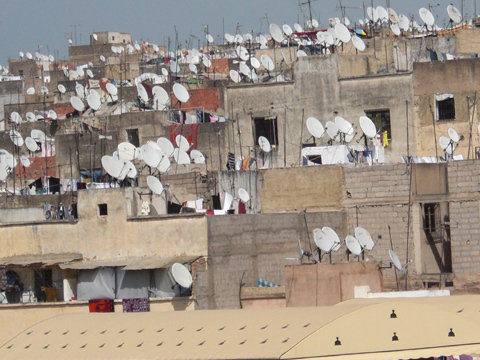 Satelite dishes for TV in Fez, but they were everywhere! 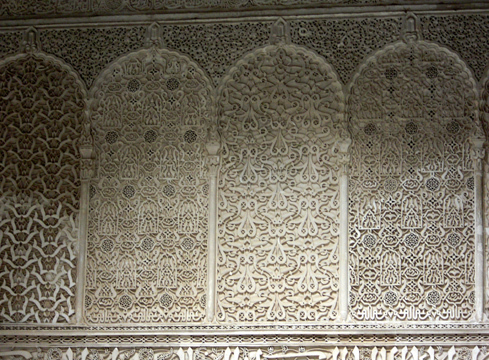 One of the wall details in the Royal Palace in Fez. 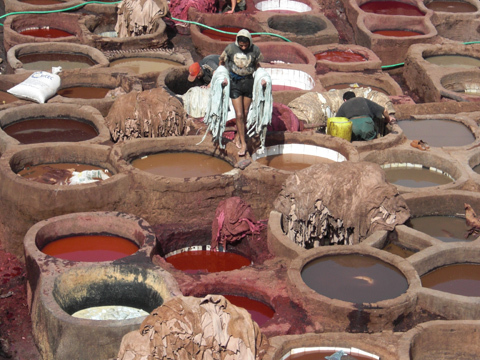 Dying Vats at the Leather factory in Fez. 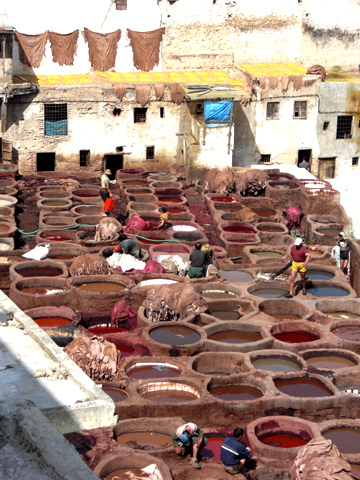 The leather factory in Fez where they prepare and dye the leather. 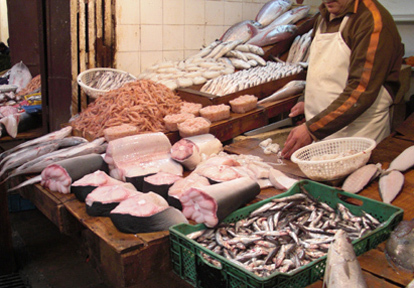 You can see the hides hanging on the walls and stacked around the vats. 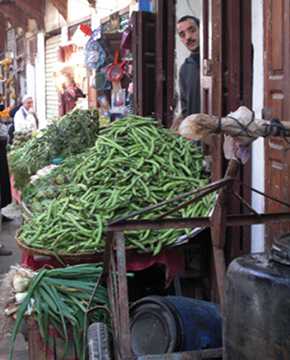 Vegetable stall with string beans and stand selling snails in the Medina. 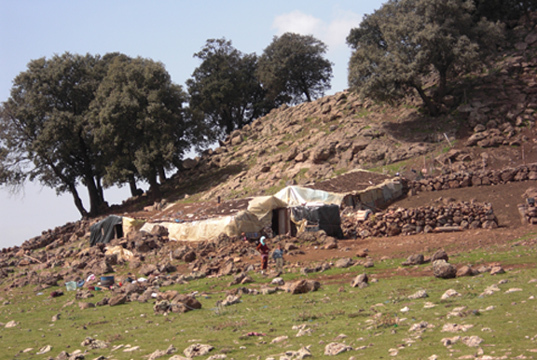 A Berber Tent in the High Atlas...hard to imagine the poverty and isolation from everything and everyone. 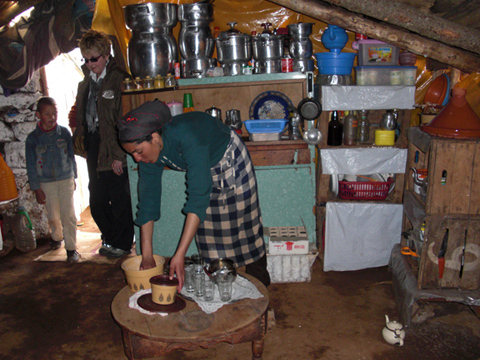 The young woman who lives here is making tea for us. 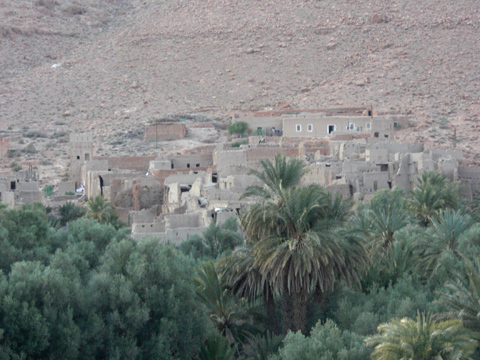 We followed the Ziz River for miles and miles with a green belt of mostly palms with majoul dates. 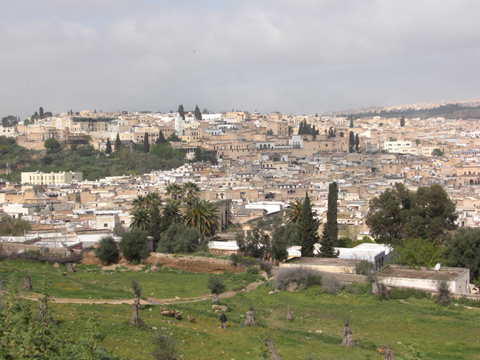 Click on the bee to go to next page of Moroccan Photos. 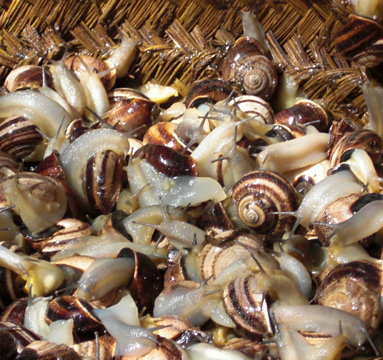 Click on the heart to go back to our home page.